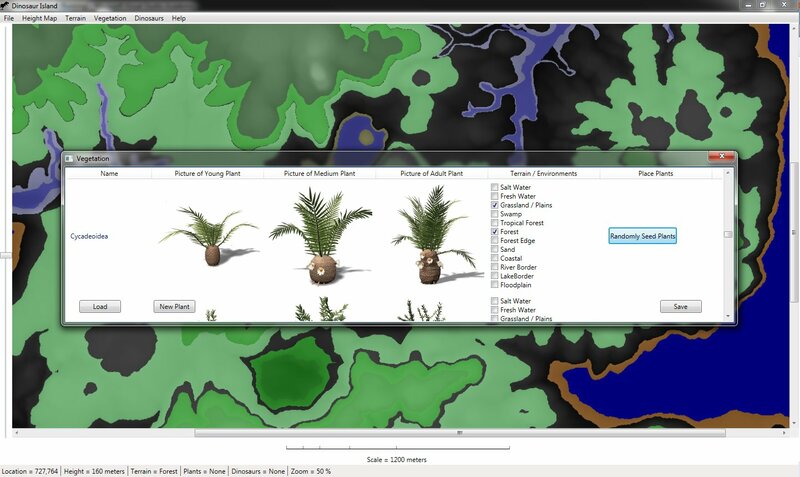 The vegetation interface is done. 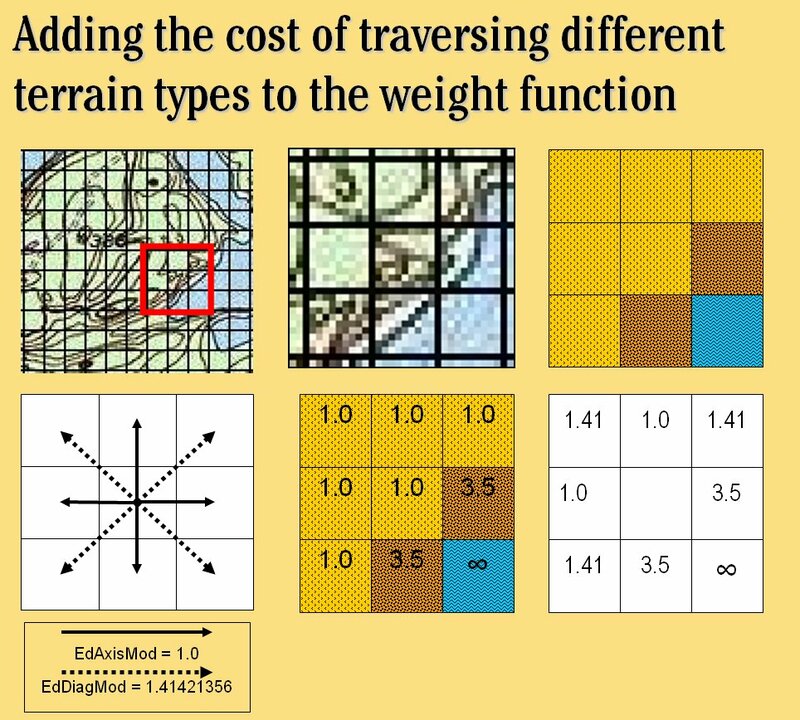 Part of the interface where the user can select what vegetation is planted in which environments. Display of information about 1 square meter of Dinosaur Island. 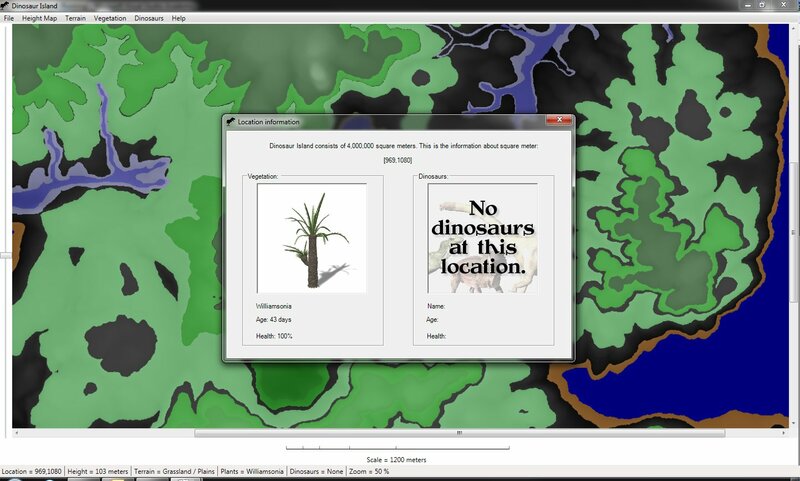 Here are a couple more screen shots showing the interface for building Dinosaur Island. 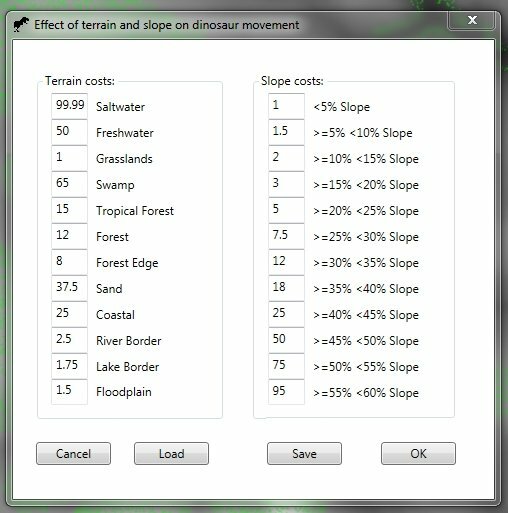 We want to make it as easy as possible to create new islands, with different terrain and plants from different ages. This is important to remember: Dinosaur Island will be released in 3D. 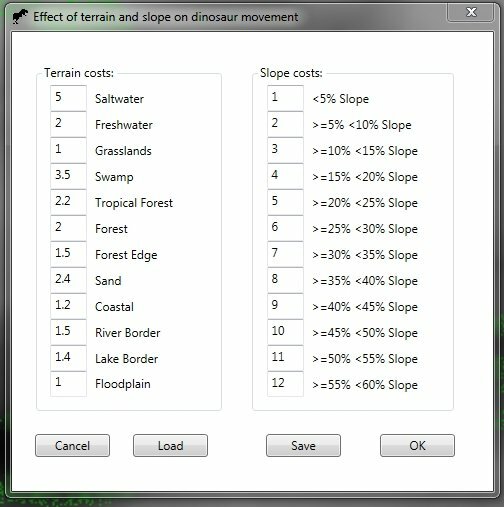 However, all the tools for creating the island, placing vegetation, creating different environments and terrains, and selecting and placing dinosaurs is done in a ‘top down’ 2D interface because – and trust us on this, we’ve had years of experience working on models and simulations – it’s just a lot easier to do it this way. Now that the island is done, the different terrains and environments are done, the vegetation is planted… it’s time for the dinosaurs!